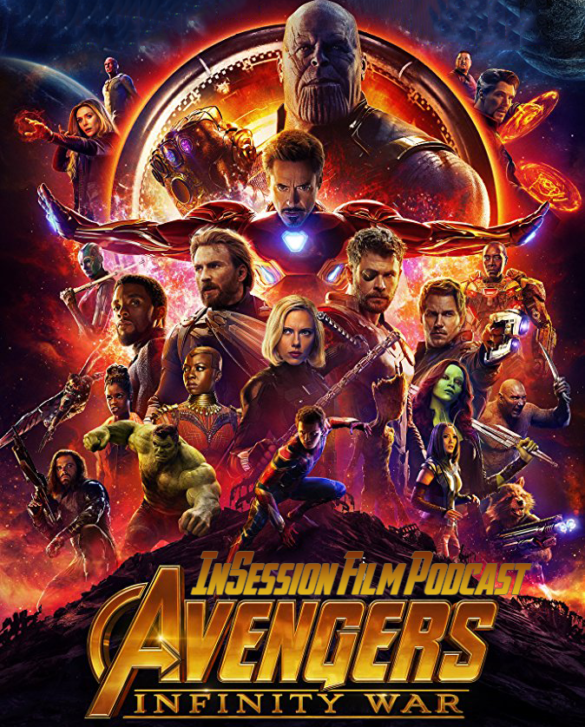 This week on the InSession Film Podcast, friend of the show Jonathan Berry joins us to discuss Avengers: Infinity War and our Top 3 scenes from the Marvel Cinematic Universe! Infinity War is a film that we’ve been anticipating for a long time now, and the hype was truly real leading into the weekend. There is so much to cover that we just couldn’t stop ourselves, thus we are forced to ask for forgiveness regarding the length of the show this week. Also, a big thanks to Jonathan for joining us once again, it’s always a pleasure to have him on the show and this time was no different. A thank you to our friend Vince Leo as well for filling in for Brendan this week, who was out on vacation. WARNING: Around the 48:00 minute mark, we dive into spoilers for Avengers: Infinity War. There are a ton of great scenes from the Marvel Cinematic Universe, especially if you’re a fan of these films, which made for a tough challenge narrowing it down to just three. Not all 19 films are great, but even Marvel’s lesser outings have sequences that stand out in some way, shape or form. That said, what would be your Top 3?